Now that’s a title we didn’t expect to be writing any time soon, but there it is, and unbelievably, it’s accurate. Starting tomorrow, buyers will be able to walk into an Apple Store and walk out with a Philips light bulb. Not just any light bulb, though. This one’s special. Very special indeed. 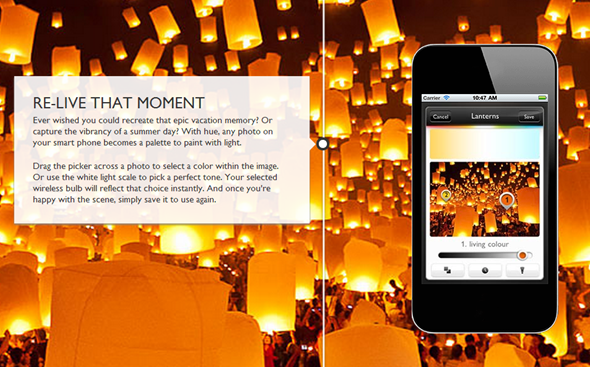 Sold exclusively via Apple Stores, the Philips Hue bulbs aren’t just bulbs. See, these bulbs come with a connection to your router, allowing users to personalize lighting levels and schedules. Want a nice, soothing light to kick in around dinner time? No problem. Want blinding light to wake you up of a morning? There’s an app for that! And there really is. Philips has put together an iOS app that ties the whole thing together, meaning you can control your lighting levels right from your iPhone. In fact, that app will even let you take a photo and then use that to set the color of the light that will be emitted by your new bulbs. That has blown our minds a little bit, and we really want to try these things out for ourselves. There’s one problem though, and that’s the price. Starting tomorrow, Philips will sell its starter kit in Apple Stores, with the price running at a cool $199. For that, you’ll get three 50Watt hue bulbs and the hue bridge. The bridge is what tacks your new bulbs onto your network, in case you were wondering. 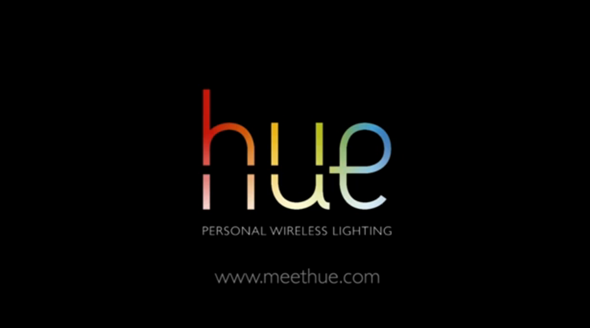 Just as interesting as the original concept is the news that Philips is also opening the whole thing up to the developer community, meaning we’ll see all kinds of weird and wonderful things made out of the hue light bulbs. The mind really does boggle. As far as home automation is concerned, the sky really is the limit and these new Philips bulbs offer a new option for those keen to control their worlds from the palm of their hands. We’ll be watching to see what the community comes up with in that regard, but at a starting price of $200, we can’t see us trying these things out any time soon. Now if Philips wants to send us some to play with, well, that’s a whole different matter.